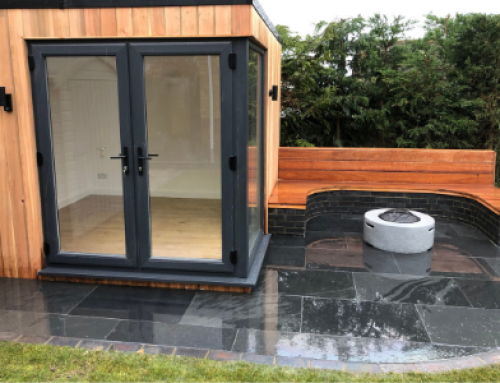 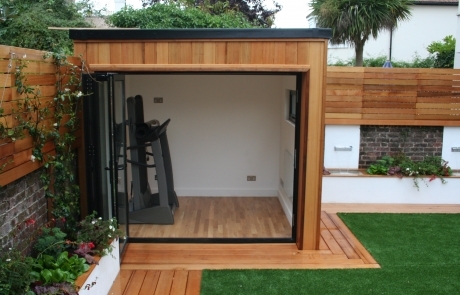 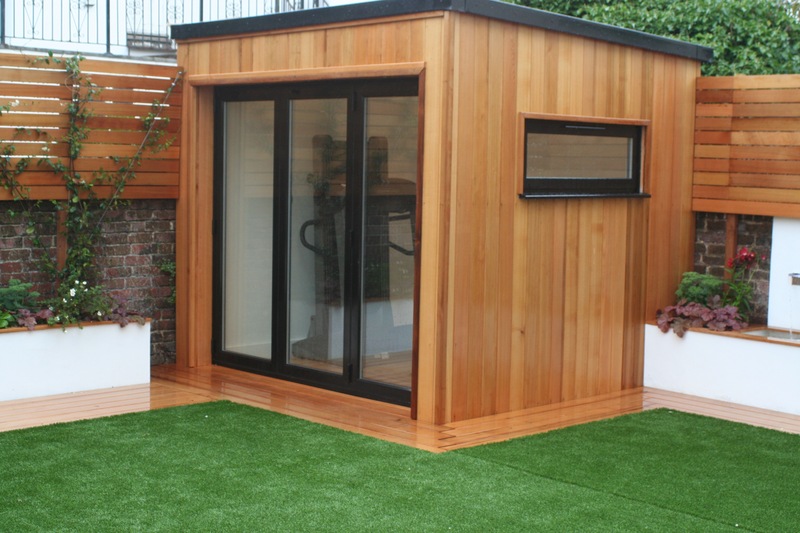 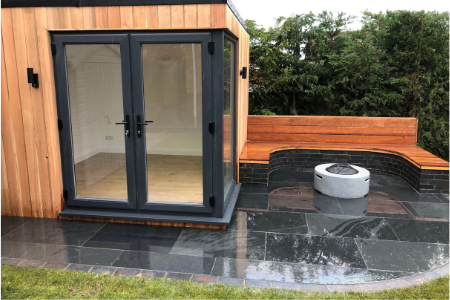 Farha wanted a small and perfectly-formed gym room in her Hove garden. 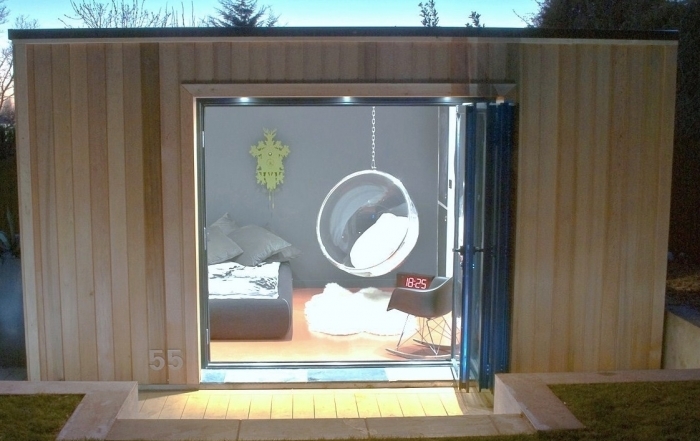 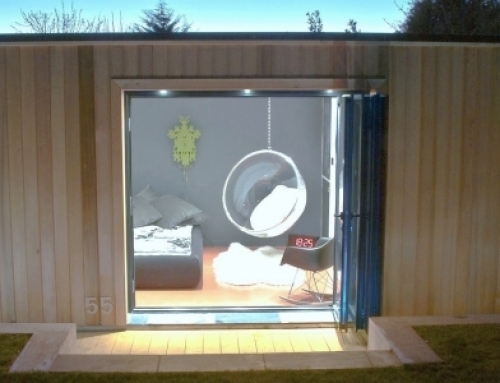 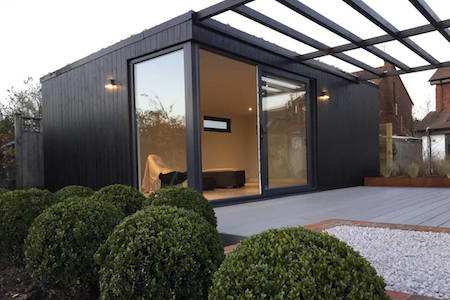 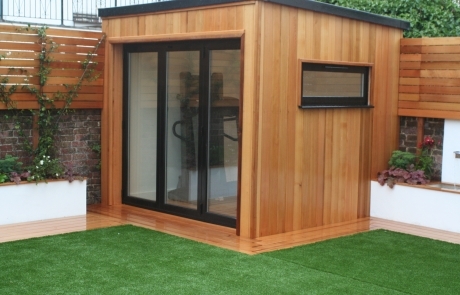 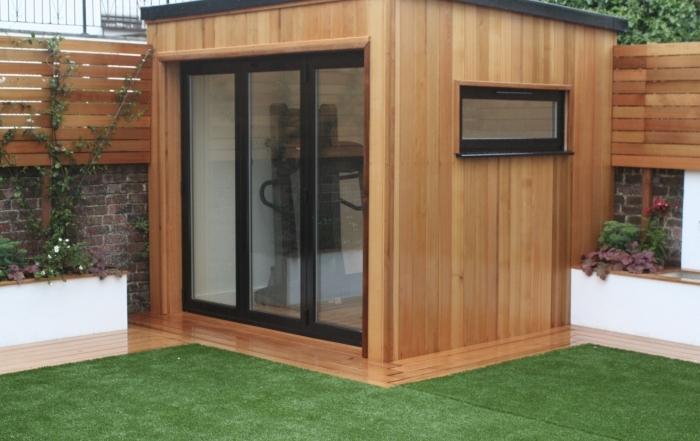 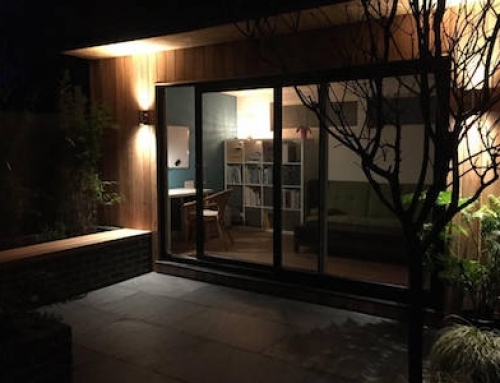 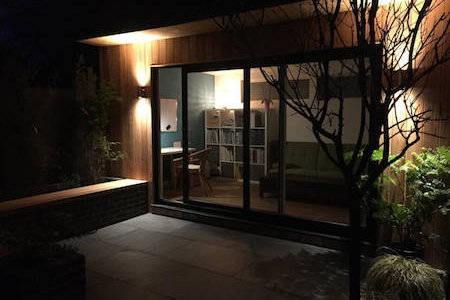 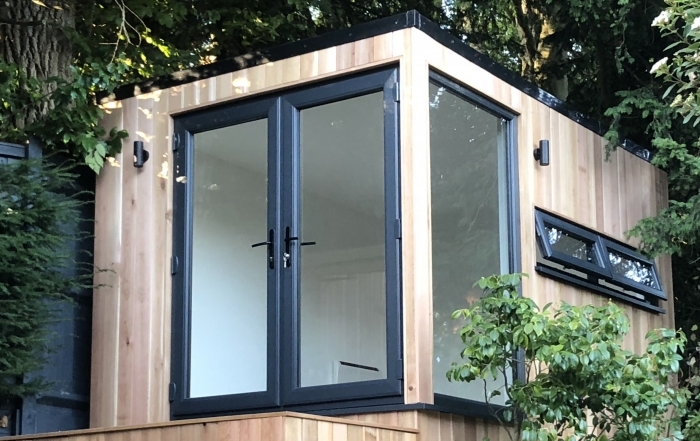 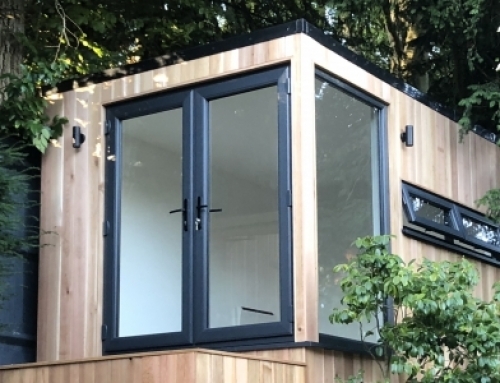 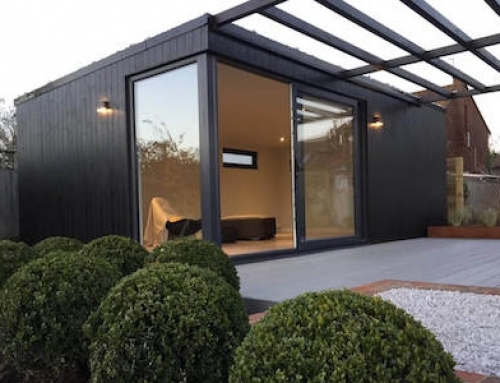 We built this Astana studio with aluminium bi-fold doors and a full length casement window. 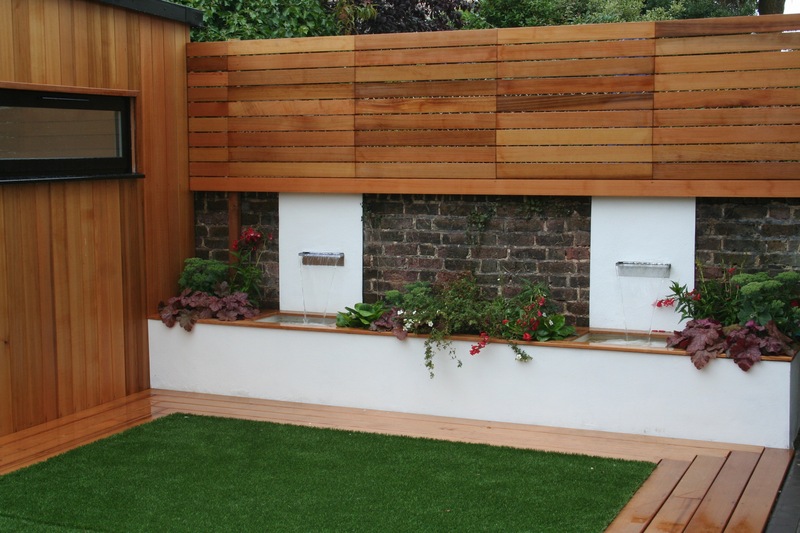 We used Western red cedar for the cladding, the fencing, for the decking, and the top of the rendered planter. 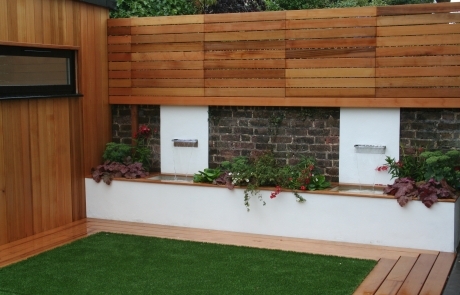 The two modern water features contrast beautifully with the brickwork of the old garden wall.